Fat Cat Kitty Kickz toys promote maximum kitty frenzy! 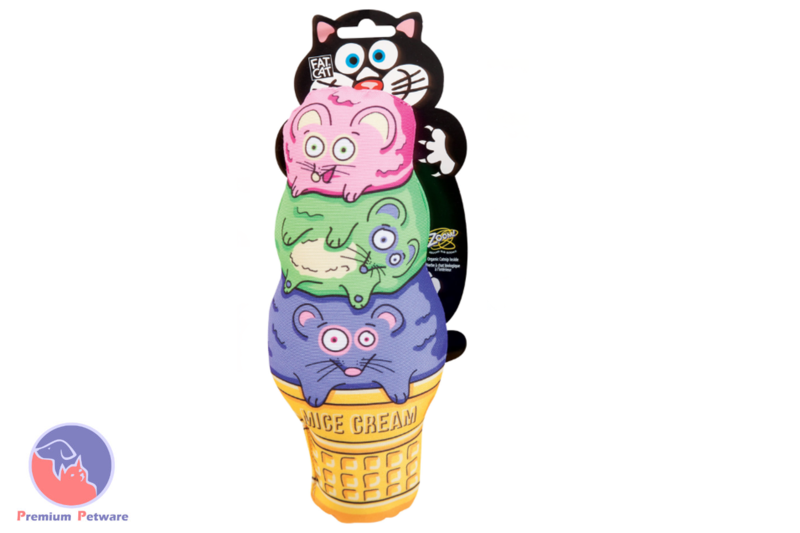 Your kitty is going to get a kick out of the FAT CAT Kitty Kickz Mice Cream Cone snacktastic kicker! Bat ’em, Fling ’em, Kick ’em – any of these moves will leave your cat happy and fee-line good! Kitty Kickz Mice Cream Cone is filled with USA grown, Zoom! Around the Room® organic catnip to encourage your cat’s best snack attack.